For example, if your main office is located in Barcelona, Spain and you will be spending a week in Beijing, China, you could order an international call forwarding number local to Beijing and configure its ring to number to ring to your office in Barcelona. Whether you’re an entrepreneur on a budget or an executive tasked with reigning in costs, international call forwarding can play a role in your business plans. Global call forwarding numbers are readily available for hundreds of countries around the world, and you can use them in a variety of cost-effective ways. Here are three tips for using international call forwarding to trim costs and stay in touch. 1. Creating an international presence around the globe. 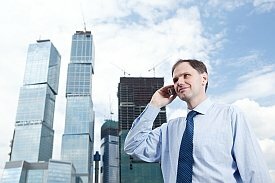 Whether your main office is located in Europe, North America, South America, Asia, Australia, or Africa, you can help customers and business partners connect with you by ordering local toll free phone numbers for the countries of your choice and then forwarding those calls to your main office. These international call forwarding numbers give your business the appearance of having a local office; however, you do not need to operate a physical office. Instead, your staff answers the phone at your main office or at a call center located elsewhere. Time-of-day routing, local ringtones, and other features can be used to enhance the experience. 2. Making low-cost international phone calls while traveling. In addition to using international call forwarding numbers to route global calls to a central location, many business professionals order personal call forwarding numbers to use to make low-cost international phone calls while traveling. For example, if your main office is located in Barcelona, Spain and you will be spending a week in Beijing, China, you could order an international call forwarding number local to Beijing and configure its ring to number to ring to your office in Barcelona. Whenever you need to reach your office while in Beijing, you’d simply dial a local number (thus avoiding high international long distance costs and hotel surcharges) and be billed according to the rates offered by your international call forwarding service provider. 3. Remaining available while traveling. Unless you have a pricey global satellite phone, traveling from one country to the next usually means that your mobile phone may or may not work due to cellular network differences. Even if your mobile phone does work in a foreign country, international roaming charges may make communications cost-prohibitive. While you could let everyone know your hotel phone numbers, this is an impractical solution that requires a great deal of coordination. Plus, you won’t be at your hotel room the entire time. A better option is to order an international call forwarding number in advance, give that number to anyone who will need to call you while you’re gone, and then set it up to ring to voicemail temporarily. Once you arrive at your destination, purchase a no-contract cell phone and then re-configure your international call forwarding number so that it rings to your new cell phone. Repeat as needed as you travel from one country to the next. International call forwarding is a low-cost solution to several business challenges. Whether you need a temporary phone number in a foreign country or want to build an international presence for your business, affordable global call forwarding plans are available on a month-to-month basis with no long term contracts or early termination penalties. For example, if the person who usually handles all incoming calls from Italy calls in sick, you could change the ring to number for your Italian call forwarding number to ring to another qualified, Italian-speaking person in your company. Think that all there is to using an international call forwarding number is getting the number and then setting its “ring to” number? Think again. Yes, setting up an international call forwarding number can be as simple as that. However, to squeeze the most value out of your global phone number, you may want to learn more about international call forwarding and the numerous features available to you. Getting a global call forwarding number could immediately transform your local business into one with international appeal. For example, if you’ve recently begun selling products in Brazil, listing a toll free Brazilian number on your product packaging would reassure consumers that your business is readily accessible. In contrast, listing a number for a company located in North America, Europe, or Asia may cause Brazilian consumers to reconsider their purchase. Did you know that the sound of a ringing telephone varies from region to region? A caller may hear a different ring tone when dialing London than when calling Hong Kong. For those who frequently call specific countries, a mismatch between ring tones could be jarring. Avoid confusing callers by using local ring tones whenever possible. One of the biggest potential problems with issuing an international call forwarding number and answering it on the other side of the world has to do with time zone differences. Fortunately, this problem can be handled by an auto attendant. For example, you can set up your global call forwarding number so that it rings to different phone numbers (such as various call centers located around the world) based on the time of day a call comes in. You could also roll calls to voicemail at a specific time. You can take call routing even further by configuring your international call forwarding number so that it serves as a virtual PBX system. For example, you could set up your call forwarding number to greet callers with a recorded greeting. From there, the auto attendant could instruct callers to push specific buttons on their keypads in order to: speak with a customer service representative, reach technical support, get directions to your office, leave a message, or anything else. What happens if ten people call your international call forwarding number at the same time? One option is to set up simultaneous call forwarding to multiple phone numbers at the same time. Tired of paying for an extra phone line for a fax machine that rarely gets used? Your global call forwarding number can accept faxes. Any incoming fax will be converted to a PDF or image document and then emailed to the email address of your choice. International call forwarding numbers can be ordered and used on a month-to-month basis with no long term contracts. If you need a temporary or long-term call forwarding solution, these plans provide fantastic features, low rates, and the flexibility your business needs. It’s possible to change your ring to number quickly and easily, and as often as you’d like. For example, if the person who usually handles all incoming calls from Italy calls in sick, you could change the ring to number for your Italian call forwarding number to ring to another qualified, Italian-speaking person in your company. These are but a few of the many ways you can use international call forwarding numbers. Don’t just “set it and forget it,” take advantage of your global call forwarding plan’s advanced features. After all, some callers won’t think twice about calling you at all hours. By giving callers your virtual number, they can call you 24/7 yet you won’t necessarily have to hear the phone ring while you’re trying to sleep or spend quality time with your family. Startups and small businesses need to be accessible, yet they often run on a tight budget. Virtual numbers allow entrepreneurs, startups, and small business owners to receive phone calls professionally without the expense of a PBX system. Not only that, virtual numbers are highly portable. Whether you need to work out of a temporary location at first before moving into your office, your virtual numbers can follow you wherever you may go – and your callers will never be aware of your movements. Virtual phone numbers are essentially call forwarding numbers that are not associated with any given phone line or device. You can order virtual numbers with specific country and area codes so that they are “local” to a given region. For instance, you could order a virtual phone number for Los Angeles and another for Ireland and then set both of those numbers to ring to your New York apartment. People in LA would see a familiar area code and think that they’re calling your Los Angeles office. At the same time, your contacts in Ireland would see a familiar local number and feel confident dialing your Ireland office without any concerns about paying international long distance charges. As the account holder of those numbers, you would pay your virtual call forwarding service provider for each minute of service. Depending on the plan, you’d likely pay different rates based on the country of origin. Virtual numbers are quite similar to toll free numbers both in terms of how they work and how they are billed. With a virtual number, you have complete control over the destination phone number. You can change this number at any time online. If you plan on working at the local coffee house for a few hours, you could change the ring-to number to your cell phone. When you return to your home office, you could then change the ring-to number to your home office phone. Similarly, if you need to leave the country, you could change the ring-to number to your hotel room or temporary office space. Meanwhile, your callers will not notice any disruptions because they can reach you as they normally do. Virtual numbers are available for locations around the world. In addition to domestic and international virtual phone numbers, you can also get toll free virtual phone numbers if desired. They can help you compete with “local” bidders. If you’re bidding on a project in another city or country, decision makers may have a preference for doing business with local companies. Getting a local call forwarding number, even if it’s just for short-term use as part of the bidding process, can give your business a local credibility boost. Easy split testing. Use different virtual numbers to split test your advertisements and landing pages. Which phone number receives the most calls? Which phone number generates the most sales? Look bigger. While your startup may be excelling despite the fact that you’re running it out of your garage, you may not want to appear as though you’re working out of your garage. By establishing a toll free number and a few virtual numbers in major cities, you can instantly appear to be a larger company. Many virtual number service plans include auto attendant, music on hold, and multiple mailbox features that can also help your company to look bigger than it currently is. Protect your privacy. As an entrepreneur, you need to be readily accessible, but you may not want to give out your personal mobile phone number or home phone number. After all, some callers won’t think twice about calling you at all hours. By giving callers your virtual number, they can call you 24/7 yet you won’t necessarily have to hear the phone ring while you’re trying to sleep or spend quality time with your family. You decide when to accept calls from your virtual number and when to send them to voicemail or to an assistant. Virtual numbers are ideal for startups and small businesses alike. With one or more virtual numbers, you can immediately establish your business in a given community as well as appear bigger than you are. You can also move from one location to another, control where those calls go, compete with local bidders, test your ads, and maintain your privacy. Best of all, you can get virtual numbers on a pay-as-you-go basis with no contract or minimum usage requirements. For example, your callers in Italy would dial an Italian toll free number which would then be forwarded to your designated ring-to number in the US. Do you serve an international customer base? Global call forwarding can play an important role in your customer service strategy as well as deliver several important cost advantages. Whether you run an international call center or a small business that serves a couple of different countries, using call forwarding smartly can improve service levels. When properly configured, global call forwarding can ensure that your customers from around the world can reach a customer service representative with minimal hassles. Did you know that a toll free number issued in one country doesn’t necessarily work for callers in another country? While you may have a US or Canada toll free number, callers from other countries such as Italy, Egypt, or China will not get through if they attempt to dial that number. If you want callers from other countries to be able to reach your business without incurring toll charges, you will need to establish toll free global call forwarding numbers specific to each country. For example, your callers in Italy would dial an Italian toll free number which would then be forwarded to your designated ring-to number in the US. Setting up a global call forwarding number is not difficult. In fact, the process is similar to setting up a traditional toll free business number. Like a traditional toll free number, toll charges for an international toll free call forwarding number are paid by the account holder and not the caller. By setting up a toll free global call forwarding number for each country that you serve, your international customers will not need to incur any long distance charges to call your customer service center. In addition, seeing a local number overcomes potential concerns about calling outside of the country as well as gives callers the impression that they are dialing a company located within their country. While global toll free numbers work in much the same way as domestic toll free numbers, time zone and language differences add complexity to the equation. If you are serious about serving a global audience, consider staffing your call center with native speakers during hours that coincide with business hours in the callers’ countries. Depending on where your call center is located, you may need to schedule native speaking CSRs to answer calls in the middle of the night. To ensure the best service possible, you can set up calls to ring to specific extensions based on their country codes as well as route calls based on the time of day they are made. For example, if a call originates in Spain, you could route that call to one of your Spanish-speaking CSRs. Similarly, if a call from Spain originates after-hours, you could send that call to voicemail as callers are not expecting to be served after-hours. Global call forwarding isn’t just for large businesses who can afford to staff international call centers. Small businesses often use call forwarding on a smaller scale. For example, if you’re a business consultant with clients in the Philippines, you could establish a phone number in the Philippines and then route those calls to your home office. Your clients will appreciate being able to call you without incurring high costs, and you can become more accessible. 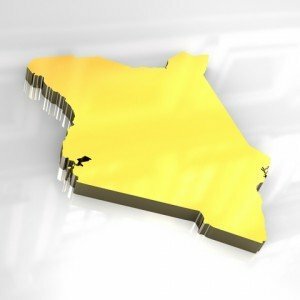 In fact, you’d likely have an advantage over a business consultant who has not bothered to establish a local presence. Because time differences are a major concern, consider adjusting your work schedule to accommodate clients in your target country. You may have just a small window of time each day that works for both you and your clients. However, by letting them know the best time to reach you, you’ll be better able to connect. Another option is to use an answering service to prescreen calls that arrive in the middle of the night. Provide your answering service with guidelines as to when to notify you of an urgent call. This can ensure that you’re available to handle emergencies yet not constantly bothered at all hours with non-urgent matters. At the same time, your international callers will reach a live person regardless of when they call you. Many businesses use global call forwarding as an alternative to physical locations. The cost savings can become significant. 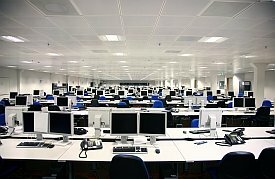 It is far more efficient to have a central office than it is to lease office space and staff offices around the world. By keeping operations central, you can also reduce your travel costs as you will no longer need to travel from one office to the next. Whether you run a large business with international call centers or a one-person consultancy that caters to international clients, global call forwarding is a great way to deliver customer service. Using call divert, calls can be routed virtually anywhere the organization needs them to ring at any given time. For example, if a small non-profit organization usually operates in the United States, it could have its international forwarding number ring to its main office in the United States most of the time. Non-profit organizations, like their for profit counterparts, must increasingly do more with less. Pressure from stakeholders and donors often prompt non-profit organizations to take a harder look at how to shave administrative costs so that more of their resources can go toward providing much-needed services or emergency help. Non-profits can both cut costs and become more accessible internationally by using international call forwarding. International call forwarding involves establishing an international forwarding number and routing calls to that number to a different phone number known as the “ring to” number. However, when the entire team is mobilized to provide aid in another nation after a catastrophe, it could use call divert to route those calls to its temporary office in the affected nation, a mobile or satellite phone, or to an alternate call center located elsewhere in the world. Non-profits can use international call forwarding in a variety of ways to cut costs or become more agile – or both. Below are a few ideas for using an international forwarding number. Imagine that you run a small non-profit based in the United States that provides food, clothing, and financial assistance to people in Haiti. While most of your donors are likely located in the United States, some may also be located in Haiti, Dominican Republic, Cuba, Mexico, France, Canada, and the Bahamas. In fact, each of these countries have a large population of Haitians, many of whom may share your commitment to helping the impoverished nation. As you develop marketing materials targeted to these nations, you realize that your US toll free number won’t work internationally with the exception of Canada. With international call forwarding, you could create local toll free numbers for Haiti, Cuba, Mexico, Dominican Republic, France, and the Bahamas and use your main number as the “ring to” number. To your international donors, your international call forwarding number looks as if it rings to a local office when in reality it rings to a phone in another country. The localization effect can inspire confidence, add a local feel to your non-profit, and overcome potential concerns about making an international long distance phone call. Many international call forwarding service plans come with auto-attendant and call routing features commonly found in more expensive PBX systems. For non-profits that would like the advanced features of a PBX but can’t justify the expense, international call forwarding may be the answer. You can create a customized greeting and divert calls to the appropriate voicemail box or live attendant based on time of day or country of origin. Fax machines require separate phone lines, plain or thermal paper, and/or ink and toner cartridges. Instead of maintaining a standalone fax machine and regularly spending money on fax supplies, your international forwarding numbers can double as incoming fax numbers. Rather than receiving a paper printout, your incoming faxes are routed to your email address as an image attachment. Since you can check your email from virtually any computer or mobile device connected to the Internet, you can receive faxes even when away from your office. Since you can change your international call forwarding number to ring to virtually any number in the world, you can also use it to make cheaper international phone calls. You’ll need to double check your per minute calling rates for the countries involved and compare them to the rates of your carrier. If they’re cheaper, and they very well could be dramatically cheaper, then temporarily change your ring to number to the number that you would like to call. Instead of dialing that international number directly, dial your virtual number which will then ring to your designated phone number. This bypasses your local carrier and gives you access to your international call forwarding service provider’s network and rates. From ensuring that your team can be reached wherever it happens to be deployed and enabling low cost calls from international donors around the world to creating a local presence, gaining access to advanced PBX features, receiving incoming faxes, and making cheap international calls, international call forwarding is a terrific choice for any non-profit organization with a global mission. Create a global presence and cut your costs at the same time with international call forwarding. 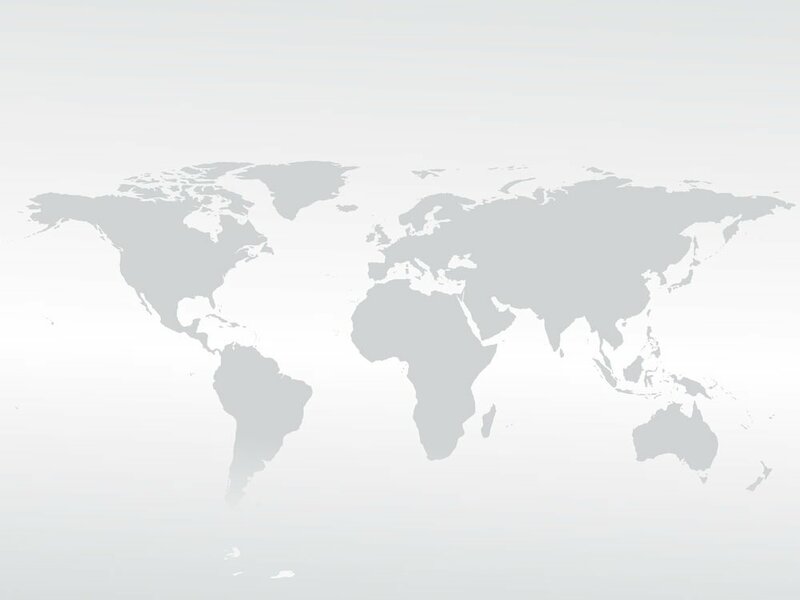 Once you have a global call forwarding number, your international customers can dial a local number without concerns about international calling costs or conventions. International call forwarding provides companies of all sizes with a convenient way to communicate with an international customer base. Once you have a global call forwarding number (or dozens of them as the case may be), your international customers can dial a local number without concerns about international calling costs or conventions. Meanwhile, call divert allows a single call center to handle calls from around the world at affordable per minute rates. If you’re familiar with local and global call forwarding, you likely have the basics of this communications method down. Get more out of your virtual number by following these advanced international call forwarding tips. Did you know that the ringing sound you hear when you dial a phone number is sounds different in various countries? After a lifetime of making calls within your own country, wouldn’t you be distracted if suddenly the ringing sound sounded different? Though it’s not overly alarming, a foreign sounding ring tone could cause your callers to pause. It draws attention to itself. If you’d prefer not to distract your global callers in any way or draw attention to the fact that your international forwarding number is unlike other numbers your customers dial, use an international call forwarding plan that has a local ring tone feature. This ensures that your international callers hear the same ring tone that they always hear when calling companies within their countries. Perhaps the biggest challenge associated with international call forwarding is time differences. Business hours for your main office will not always align with your customers’ business hours. With time of day routing and creative staff scheduling, you can overcome this problem. For each country that you serve, you will need to determine which hours to answer calls live and which to route to voicemail based on local time in the targeted country. With time of day routing, you can designate how calls will be handled based on when those calls take place. For example, you’ll likely want to have agents answer calls during normal business hours for the countries that you serve even if that means you need to bring staff into your call center in the middle of the night. Since call volume is likely to drop after five local time, you can then route those calls to voicemail which frees your staff to handle calls in other time zones. When your international callers call your virtual number, you can either answer the call in person, send it to voicemail, or let an auto attendant greet the caller and then route the call to the appropriate extension or mailbox. A short, customized greeting in the caller’s language is a friendly, professional option. Each virtual phone number that you have can have its own unique auto attendant greeting. Another challenge with global call forwarding involves language differences. 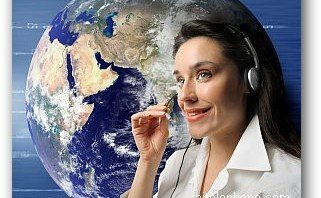 If your US-based business serves customers in Italy, Spain, and Brazil, you will have callers that speak Italian, Spanish, and Portuguese. Obviously, you will want to staff your call center with agents who speak these languages. While you could set each virtual number to ring to your main call center number and then have your agents transfer callers to someone who speaks their language as needed, it’s smarter to use Caller ID to route calls to the right agent in the first place. For example, you could set up routing so that anytime a call comes in using your Italian virtual number, those calls will be routed to the desks of your Italian-speaking agents. The same is true of calls originating from Spain and Brazil. When using Caller ID to route calls, you have two options. You can either have the virtual number displayed or the caller’s own caller ID number. Many companies find it easier to route calls based on the virtual numbers that they have while others prefer to see the caller’s actual phone number. Virtual numbers can forwarded through a sequence of numbers, ensuring that should a call go unanswered at one location, the call will be diverted to an alternate number or voicemail. For example, if you have three work-from-home Italian-speaking agents, you could set up your global call forwarding number to ring to agent 1 first. If that call is not answered within a given time period, the call would then be diverted to agent 2, followed by agent 3. One of the problems with such a sequence is that the wait time may be too long; your customer could hang up before the call is finally answered. Fortunately, maximum wait times can be adjusted. You may need to experiment with wait times to find the right balance. If you’d rather have calls answered as quickly as possible, use simultaneous ringing. In the example above, instead of going through a sequence with wait times, all three agents’ phones would ring at the same time. International call forwarding is an effective tool with a variety of features. Fine-tune your global call forwarding numbers by using advanced features and ensure that your callers receive prompt service from a friendly agent who speaks their language. 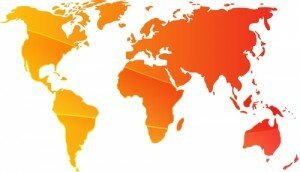 You can start localizing your business in countries outside of your own through international call divert. You can do so without having to invest in physical locations, local staff, and infrastructure. Is it time for your mid-sized business to establish an international presence? Entering new markets with an international forwarding number is a great way to start the process. Not only can you start localizing your business in countries outside of your own through call divert, you can do so without having to invest in physical locations, local staff, and infrastructure. Here’s how an international forwarding number can help you communicate with customers, suppliers, vendors, partners, or employees overseas. Call divert technology involves signing up with an international call forwarding service provider. These providers are not necessarily associated with your local phone utility company. In fact, they often use their own networks or contract with major telecommunications carriers to divert your calls. This is especially beneficial in countries where local phone service is substandard and/or expensive. Once you’ve found a high quality, low cost international call forwarding service provider, you then set up an international forwarding number for the country that you want to establish a business presence in. For example, if your business is located inside the United States and you want to establish a local presence in Chile, you would order a phone number for Chile. To Chileans, this number is just like any other in-country phone number with the correct country code and local area codes. However, since you’re using call divert, whenever someone in Chile dials your international forwarding number, the call would “ring to” the number you’ve designated in the United States. As the call divert account holder, you will be billed for calls that go through your international forwarding number on a per minute basis. International call forwarding rates depend on the countries involved. They are also sometimes dependent on whether or not a mobile phone was used. In addition, you can order either local or toll free international forwarding numbers. Travel costs – You will not need to fly to Chile to scout physical locations. Office space – Since you won’t need an actual office in Chile, there’s no rent whatsoever. Infrastructure – Aside from the international forwarding number, you won’t need to invest in additional technology. There’s no PBX or computer network required. Simply divert calls to your main office. Local office staff – Since you will not have a physical office in Chile, you will not need to hire employees in Chile to answer your phones. However, you may have some staffing costs as addressed below. Please note that while an international forwarding number can slash your costs and help you establish an international presence, you will still need to do your due diligence to ensure that your business complies with all applicable trade and business regulations which are beyond the scope of this article. While you may never need to step foot in Chile in order to use call divert and establish a presence in the country, you will need to accommodate any callers who use your international forwarding number. Depending on the anticipated call volume, you may need to hire additional staff at your call center or main office to handle incoming calls. Depending on the languages involved, you may also need to hire bilingual customer service representatives. Let’s say that you’ve determined that three Spanish-speaking customer service representatives will be sufficient for the amount of calls you expect to come through your international forwarding number. Use your call diver’s advanced routing features to ensure that these calls ring specifically to these CSRs. In addition to staffing your office with bilingual staff, you will also need to consider scheduling your staff during international business hours. For example, the time zone your main office is in may conflict with the time zone for your international forwarding number. If so, you will either need to have staff available during that country’s normal business hours or use “time of day” routing to route callers to an alternate call center or voicemail during business hours. As with any other branch office, your call diver number won’t necessarily ring until you’ve advertised it. Use various advertising channels to let international customers know that you are able to take their phone calls. Whether you advertise locally or use the Internet, using an international forwarding number that’s local to your target countries provides local callers with a comfortable and familiar way to reach your office. As a mid-sized business looking to establish itself internationally, using call divert is a terrific, low-risk way to get started. International call forwarding facilitates communication with minimal costs. As a small business owner, you may not necessarily consider your business an international one. However, you may have customers, vendors, manufacturers, suppliers, partners, and colleagues located in other countries. Even if you don’t currently, that could change in the near future. Whether you currently work with others from around the globe, expect to, or want to, setting up an international call forwarding number for your business is an option with numerous benefits for small businesses. Here’s a quick look at what international call forwarding could do for you. Are you working with an important client from another country? Have you outsourced a part of your business to another person overseas? Setting up an international call forwarding number is one way to avoid international dialing confusion and concerns about costs. With international call forwarding, you establish a virtual number that is local to the country in which your client, partner, supplier, or other party resides. That number looks the same as any other phone number issued in that country; however, it rings to a phone located in your country such as your home office phone or mobile phone. For example, if you’re based in the United States and have an important client in Portugal, you could get a virtual number from Portugal and set it to ring to your office in the U.S. Your client dials a local number to reach you and does not need to worry about international calling costs or operator assistance. As the international call forwarding account holder, you will pay for forwarding costs on a low per minute basis based on the countries involved. Many small business owners use international call forwarding to enter new markets. For example, if you offer a product or service that appeals to consumers in Brazil, you could establish a Brazilian presence simply by getting a virtual number for Brazil and marketing your offer. Consumers would see a familiar phone number that’s local to their country, yet the phone would ring at your desired location. Many small businesses appear larger than they are thanks to the ability to add international “locations” through the use of virtual numbers. For example, let’s say that you run an eCommerce store that sells products to customers in North America and the United Kingdom. While you may run your site and coordinate drop shipping out of your home, your customers don’t need to know that. By using international call forwarding, not only can you have an 800 number for your U.S. and Canadian customers to call, you could establish country-specific numbers for callers from Mexico and the United Kingdom to call. At first glance, it appears as though you have offices in the U.S., Canada, Mexico, and the U.K. In addition to appearing larger, these local numbers help to ease customer concerns about dealing with a local company. As the owner of a small business, containing costs is likely a top priority. If you make a lot of international phone calls, you may find it advantageous to use international call forwarding as an alternative to direct dialing. This strategy takes a little price comparison to ensure that your per minute virtual number rates are lower than your phone company’s international calling rates. If they are, then use your international call forwarding’s online account management dashboard to temporarily change the destination phone number to the international number that you intend to call. Once set, dial your virtual number; the phone will ring to the number you just entered. Enjoy your conversation with the knowledge that you are saving money. Once the conversation ends, make sure to go back into your account management dashboard and change the ring to number back to its primary one. Another great use for international call forwarding arises when you travel outside of your own country. In many cases, your cell phone won’t work internationally. If it does, international roaming rates may be cost-prohibitive. Set up a local international call forwarding number before you go and distribute it to your family, friends, and colleagues who may need to reach you while you’re gone. When you arrive at your destination, buy a disposable cell phone and then set up your virtual number to ring to it. Whether you need to collaborate with overseas partners, enter new markets, make your business appear larger than it actually is, reduce international calling costs, or stay connected while traveling, international call forwarding can play a role in making it happen. Not only can international call forwarding help to do all of the above, it can do so more affordably than you may realize. Pay-as-you-go plans with no minimum usage requirements or penalties are available with both excellent service and attractive rates. You may not consider your business international, but it could be. Get your international virtual number today! Advanced virtual number call forwarding features are available. For example, if you tend to use several different phones, simultaneous ringing can be set up to ring them all at once. Virtual number call forwarding is a convenient and affordable way to stay in touch with families, friends, and business associates no matter where you may be. With a virtual phone number, your phone number becomes the ultimate portable number. It can ring to your main line, your cell phone, your office line, your hotel switchboard, a disposable phone when traveling overseas, and virtually any other phone you may happen to use. Here’s how you can stay connected with virtual number call forwarding. What is virtual number call forwarding? Virtual number call forwarding is a telecommunications service offered by various telecommunications provider. When you order a virtual phone number, you are issued either a local or toll free number (depending on your preferences). From there, you will be prompted to designate what’s known as a ring to number. For example, you might set up virtual number call forwarding to ring to your main telephone number initially. Then, whenever someone dials the virtual phone number, your main telephone number will ring. The beauty of virtual number call forwarding is that you can change the ring to number as needed. Let’s say you have the call forwarding number set to ring to your home phone most of the time. When you go on vacation, you can log into your virtual number call forwarding account and change the ring to number to your mobile phone or hotel room phone. Then, whenever someone dials the virtual phone number, instead of ringing to your home phone as usual, your mobile or hotel room phone will ring. To your friends, family members, and business associates, the transition will be seamless. From their perspective, they’re dialing the same phone number they always dial to reach you. However, thanks to virtual number call forwarding, you can be reached no matter which phone you have by your side. The basics of virtual number call forwarding are useful in their own right. However, there’s more. Advanced virtual number call forwarding features are available. For example, if you tend to use several different phones, simultaneous ringing can be set up to ring them all at once. That way, you can answer whichever phone you have handy and not miss a single call. Similarly, sequential virtual number call forwarding can be used to send incoming calls to the phones you’re most likely to be using. You could set the first number in the sequence as your main office number. If it’s not answered in specified time period, the next number in the sequence will ring and so on until you reach the last number, typically voicemail, in the sequence. Another advanced virtual number call forwarding feature allows you to specify which phone should ring at a give time of day. For instance, if you work regular business hours at the office, you could set your office phone number as the ring to number from 9:00am to 5:00pm each business day and then set your home or mobile number as the ring to number for the other times of day. Don’t want to answer your phone at night? Set up calls to go directly to voicemail at night. Virtual number call forwarding isn’t just about forwarding voice calls to your other phones; it’s also about faxing. You can forward incoming faxes directly to your email address. Not only can you receive faxes virtually anywhere, you can potentially get rid of your fax machine, paper and toner costs, and separate phone line. Your incoming faxes will be delivered as PDF files that you can view and store on your computer. You can also forward your voicemail messages to email if desired. Incoming voicemail messages arrive in your inbox. Simply click the attachment and listen to your message. These are but a few of the many ways you can benefit from virtual number call forwarding. Getting a virtual number call forwarding plan is an easy process, and it can keep you connected to your contacts no matter where you go. Use virtual number call forwarding to ensure that you can be reached wherever you are and whenever you want to be reached. If you do not want to be disturbed, you have control over that too. Best of all, virtual number call forwarding is a cost effective choice. Rather than giving your mobile number to people who might call too much or at inconvenient times, you can give out your international call forwarding number and control when and where you take those calls. This preserves your precious mobile minutes – and your sanity! By using virtual number call forwarding, you can also reduce some of your traditional phone lines such as a separate fax line. Take advantage of these benefits by getting virtual number call forwarding today. If you’re like many business professionals, you’re rarely in one place day-in, day-out. While you likely carry a cell phone with you, you may not want to share your number with everyone for various reasons including keeping your cellular costs to a minimum. How do you limit calls to your cell phone yet stay readily accessible despite your mobile lifestyle? With sequential forwarding. Sequential forwarding is a type of call forwarding service that forwards your calls to a series of ring-to numbers in a sequence set by you. If a call is unanswered at the first ring-to number, sequential call forwarding will then route it to the next number in the list. If that number goes unanswered, the call will be routed to the next number, and so on. For example, if you’re a real estate agent, you may work out of your main office, a branch office, and your home office during the week. In addition, you likely spend a fair amount of time showing clients houses, going on caravan, and attending various business networking events. While you could set your calls to forward to your cell phone whenever you leave your main office, it’s silly (and expensive) to receive cellular calls when you’re sitting at a desk with a landline. Likewise, you may not want to receive cellular calls when you’re grocery shopping or enjoying family time. By using sequential forwarding, you can set up a ring-to sequence that reflects your most common locations. For instance, you could set your main office number as your primary number followed by your branch office number, home office number, and finally your cell phone. Whenever someone calls your main office number and it goes unanswered, your branch office number will ring. Not at your branch office? Sequential forwarding will try your home office? If the call still goes unanswered, it will try to reach you at your cell phone. Alternately, you could set a voicemail number as your last ring-to number. How Many Sequential Numbers Can You Have? Most sequential call forwarding service providers limit the number of ring-to numbers you can have in a sequence to a handful. This is primarily a practical consideration as each ring-to number must be allowed to ring a few times before the call forwards to the next one. If you have too many ring-to numbers in the sequence, your callers may hang up before you’re finally reached. Keep the caller in mind as well as your ability to answer the phone promptly when setting up your sequence. In general, you can specify the number of rings or number of seconds before sequential forwarding will move to the next number. Finally, consider how each ring-to number is currently set up to handle non-answered calls. For example, if the second number in your sequence is set up to send calls to voicemail after five seconds but your sequential forwarding sequence is set up to forward calls after ten, the call will be sent to voicemail before sequential forwarding has a chance to send it to the next number in the sequence. Running a call center is challenging enough; add global virtual numbers to the mix and it becomes even more complicated. However, this challenge can be solved with an understanding of how global virtual numbers work and the right staff. It’s important to understand how global virtual numbers work so that you can plan accordingly. These numbers are call forwarding numbers assigned to various countries around the world. They appear “local” to callers in these countries, yet they ring to a call center located somewhere else. For example, a caller in the United States may dial a traditional 1-800 number at 2:30 PM and be connected to a customer service representative in Singapore where it’s 5:30 in the morning. In this example, the international call center in Singapore would need to have a team of customer service representatives who are fluent in English. Because of the time differences between the two countries, this team would need to work an unusual shift. After all, callers in the United States expect someone to answer phone calls during business hours. Not only must the call center have English-speaking staff available, it needs to be in tune with local time in the U.S.
To further complicate matters, international call centers often answer calls from other global virtual numbers. If our theoretical call center in Singapore also handles callers from the United Kingdom, Australia, and Russia, it will need English and Russian-speaking customer service representatives available during those countries’ business hours. In addition to accommodating callers through staffing, the technology that powers global virtual numbers also has a role to play. For example, callers who call at 9:00 PM local time do not generally expect a live person to answer the phone. In fact, many prefer to call afterhours so that they can simply leave a voicemail message and receive a callback the next day with answers. A feature called “time of day routing” can control how calls are routed based on the time of day it is in the originating country. The call center manager could set each global call forwarding number to ring to the call center during local business hours and then to voicemail afterhours. From there, appropriate staffing levels could be determined around these schedules. In addition, global virtual phone numbers can be set to emit a “local” ringtone so that callers hear the traditional ringing sound that their country’s phone system uses. Makes it possible for a single call center to handle calls from around the world, around the clock. Once you understand what calls are coming in, from where, and when, you can then staff the call center with the right people at the right time to handle those calls. Virtual numbers can now be ordered to create a phone presence in Turkey. The following Turkey cities and number types are available as of 3/4/2013. View current worldwide virtual number database click here.